Well a few days ago (infact I think it was only two days ago, but feels like it was months ago!) I came home to find my PC was dead. 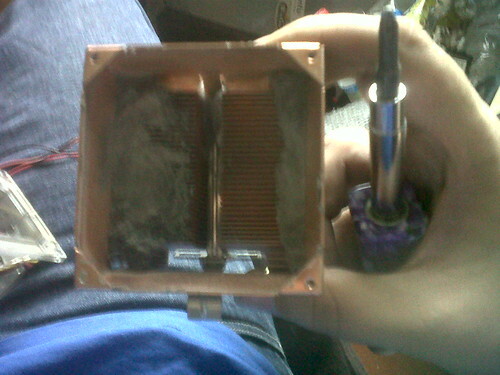 I found my spare PSU - Oh, but its only a 350w and the one that blew was 450w! That can't be good, but it was running the PC before.... so I connected it just to the motherboard to confirm the system would boot - It powered on, and I was able to ssh into the system - success!. So I chucked the old PSU, and started pondering where to find a spare newer PSU. I grabbed a old computer I had just to find it only has a motherboard and psu at all (helpful!). 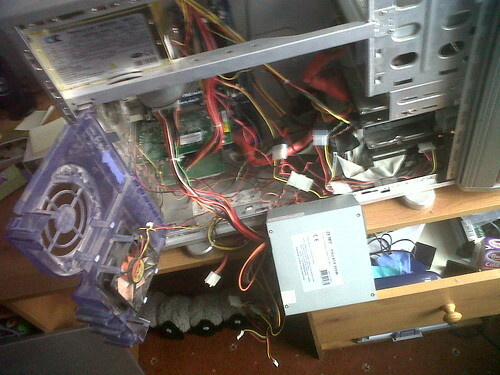 While doing all this I realised I might as well clean up the other PC incase I needed it in an emergency... Opening it back up I made an amazing discovery. It wasn't the Althon 2100+ I was expecting...... Its a AMD 64 X2! It needs a good clean up, a new bracket on the motherboard (they managed to snap the clip off somehow) and a better HSF (its running on stock currently. But there is also a BFG 7000 series card in there too. So now I'm looking at a very nice system I can hopefully get up and running without too much trouble. It'll be running linux, and will replace my main rig. Question is, can I run the GPU projects under linux on a 7000 series card? which I have to say, looks quite funky!. Hopefully it'll allow me to run boinc out full pelt, and without issue! Kinect Finally Priced - £155! So Microsoft have announced an official RRP for Kinect - £155. However this comes with a copy of Kinect Adventures. No idea yet what that includes. 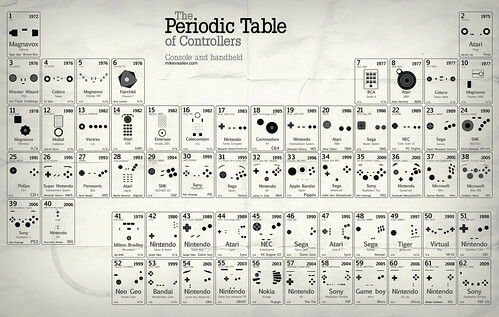 periodic table of controllers V.2.5 UPDATED, originally uploaded by Pixel Fantasy.